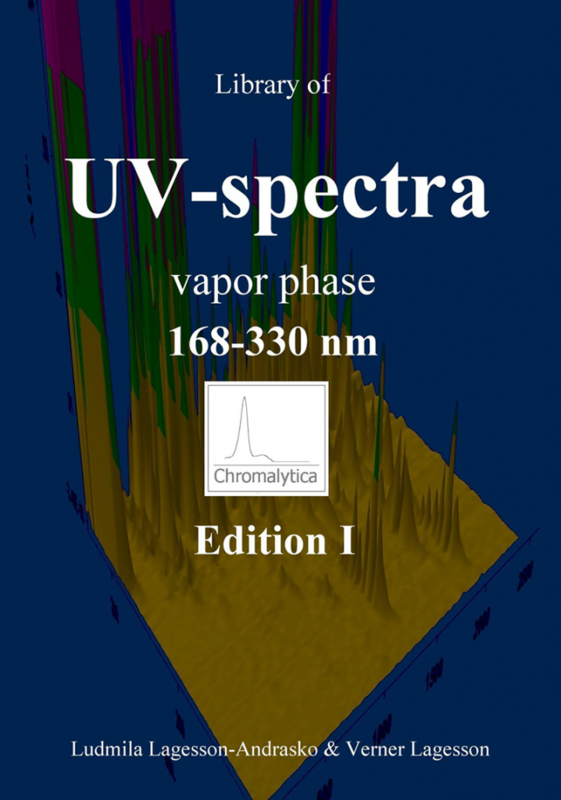 The UV Spectra, Vapor Phase, 168- 330 nm is intended for paying attention to the valuable quality of the ultraviolet (UV) spectrophotometry for scientific studies and as a measuring tool for numerous applications in every field, where classification, identification and quantification of compounds are required. 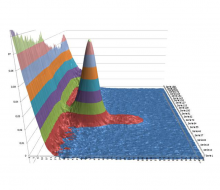 Furthermore, the collection of the UV spectra vapor phase should satisfy the educational needs for courses on organic, analytical and physical chemistry as well as on applied physics. 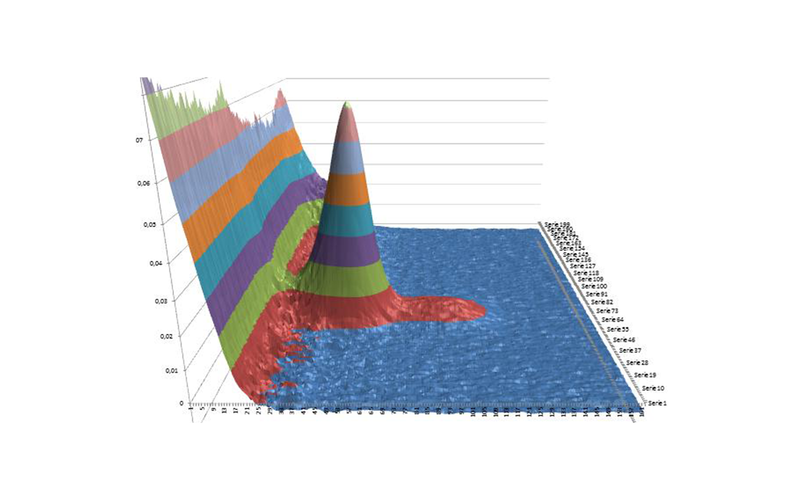 There are a number of advantages of being able to make measurements in the vapor phase rather than in the liquid phase. 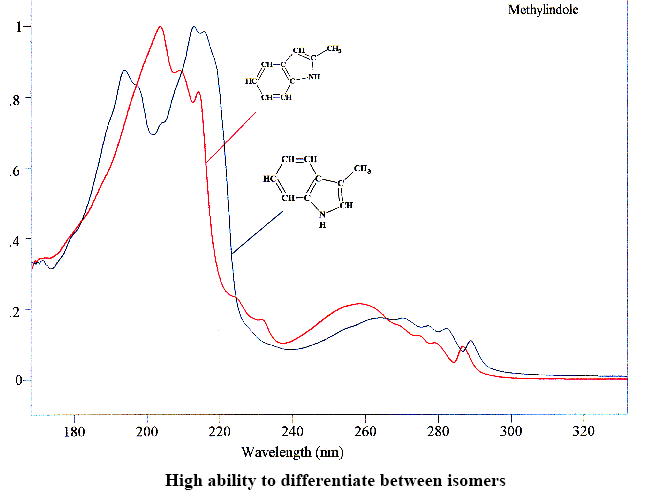 The spectra given are not influenced by any solvent effects and therefore very well defined and considerably more detailed. 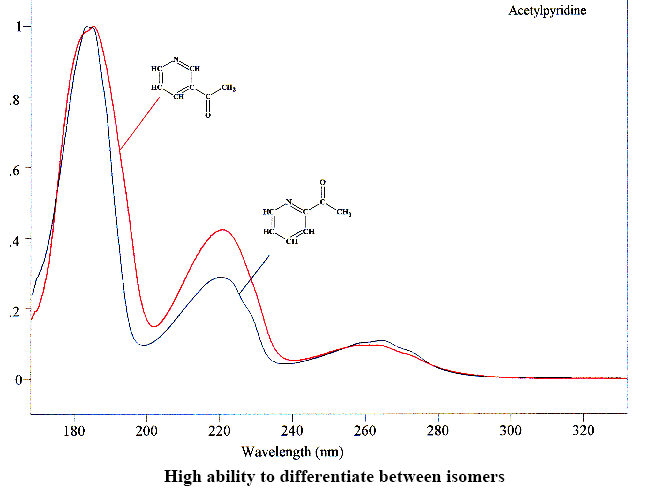 Furthermore, the wavelength range is not limited by the cut of wavelength of a solvent. 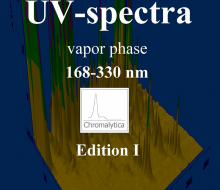 The UV Spectra, Vapor Phase, 168- 330 nm is a contribution to other handbooks of spectra as infrared (IR), nuclear magnetic resonance (NMR), mass (MS) and UV liquid phase and makes it possible for chemists and physicists dealing with research, education and practical work in industry and other laboratories to complete these handbooks. 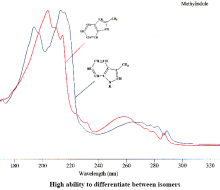 For most of the data in this collection of UV spectra vapor phase, the corresponding data for the compounds are found in the IR, NMR and MS spectra collections and can, consequently, be preferably used for completing and comparison. 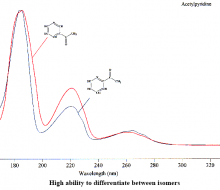 The database contains more than 1300 UV-absorption continuous spectra that can be used with Chromalytica and other GC-UV solutions. The information can be supplied in printed format in an indexed binder of about 800 pages and/or on CD ROM.